'I'm A Female And I'm A Veteran ... Those 2 Things Are Not Mutually Exclusive' For many women, military service can be starkly different than it is for their male counterparts. As the military prepares to open combat roles to women, two longtime soldiers share their stories. Denise Clancy with her husband, Shane. When the military opens front-line combat roles to women soldiers — across all branches — in April, it will mark the culmination of a years-long process, which was often subject both to consternation and controversy. It will also mark a historic first for a female service members, many of whom enlisted decades ago in a very different kind of military. Among those women is Capt. Margie Finlay, who first enlisted in 1973. "There wasn't a whole lot of the physical stuff, the actual war fighting stuff that guys did. 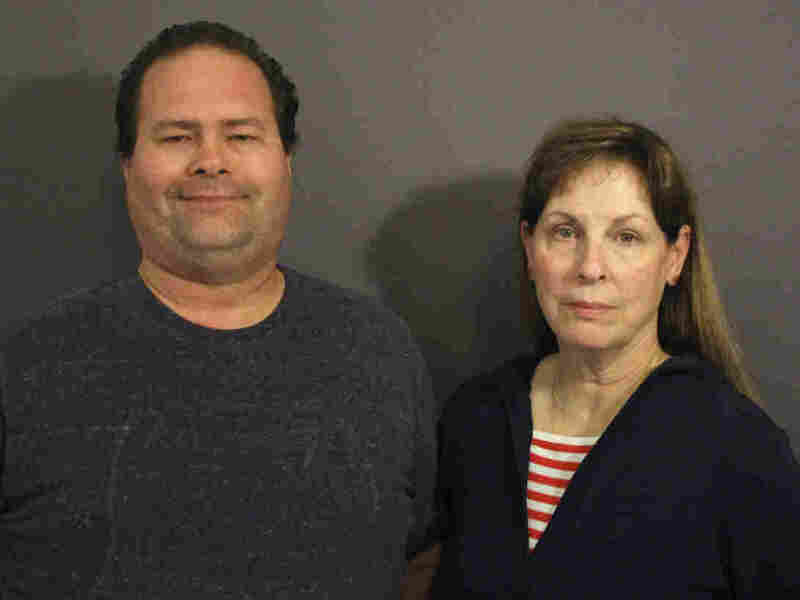 We did not fire guns, we didn't go out and do an obstacle course or anything like that," she tells her son, Nathan, on a visit with StoryCorps. "We actually had classes where they would bring in ladies that did makeup and hair, and we would practice how to dial a phone with a pencil. I remember sitting there looking at all of us thinking, 'This is kind of silly.' I wanted to get out there and shoot a gun," she laughs. "I wanted to go in the dirt, but we weren't allowed to." When Finlay got pregnant, she says she needed the signature of Nathan's father if she wanted to stay in the military — a signature he wouldn't give her. Margie Finlay with her son, Nathan. "No mother of my children is going to wear combat boots," he told her, as Finlay recalls. "And I remember crying and begging him to sign the paper. The sergeant that was there processing said I can't let you stay in — your husband won't sign the permission slip," she says. Without the permission slip, she couldn't stay in the force. It made her feel "kind of worthless, in a way," Finlay says. "But I always missed it. I enjoyed the military — I did. So, I rejoined in September of 1993." She divorced her husband in 1996. Today, she's a captain in the Air National Guard. At around the same time Finlay rejoined the military, Denise Clancy joined the Navy. "We have over 200 years of military service in my family," Clancy tells her husband, Shane, on a separate visit with StoryCorps. "When I made that decision and I called my grandfather, he cried. He had six grandkids, and even though I wasn't a boy, I was the only one that signed up." When she joined the U.S.S. Enterprise, she found just a small number of women on the ship — "and it was terrifying," she says. It wasn't uncommon for the men on board to make hostile and sexual comments to the women. The situation got so bad at nights, in fact, that her senior chief mandated that she be accompanied by a man whenever she left her workspace. That was how she met her husband, Shane. But, even years later, she still sometimes found she was on the receiving end of disparaging comments from her own husband. "I don't think I realized until after I was out and having our girls and trying to raise strong women — and hearing you say to me sometimes in front of them, 'Well, yeah, but you weren't in the real Navy' — I don't think that you had understood how our girls could perceive that," she tells him. "I mean, that was wrong," he answers. Even with things as small as Veterans Day discounts, Denise Clancy says slights such as these persist. She finds that waiters will offer her husband the discounted rate and rarely consider that she, too, could be a veteran. Yet, when asked what advice she'd offer a woman following in her footsteps, putting on a uniform for the first time, Clancy says she'd leave her with some simple, strong language. 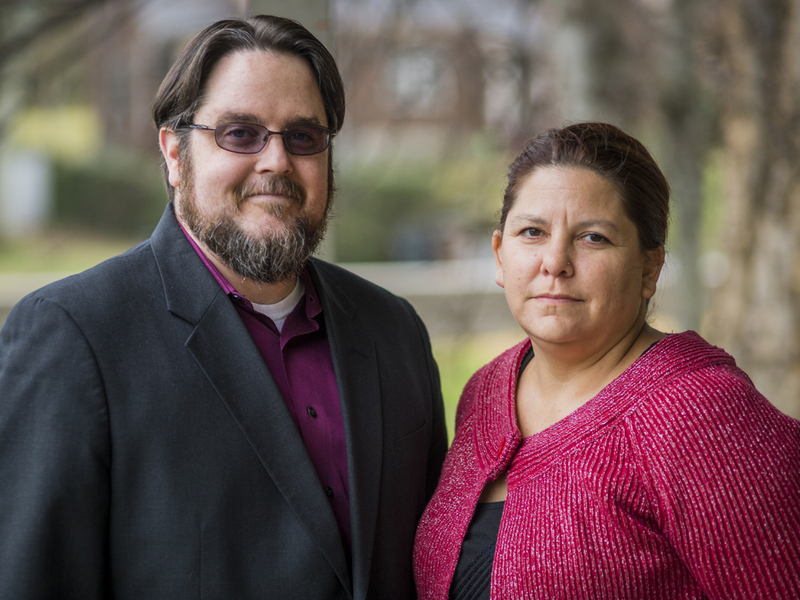 "To be proud of her service, and to not be afraid to say, 'I'm a female and I'm a veteran. And those two things are not mutually exclusive.' "
Audio produced for Weekend Edition by Von Diaz. 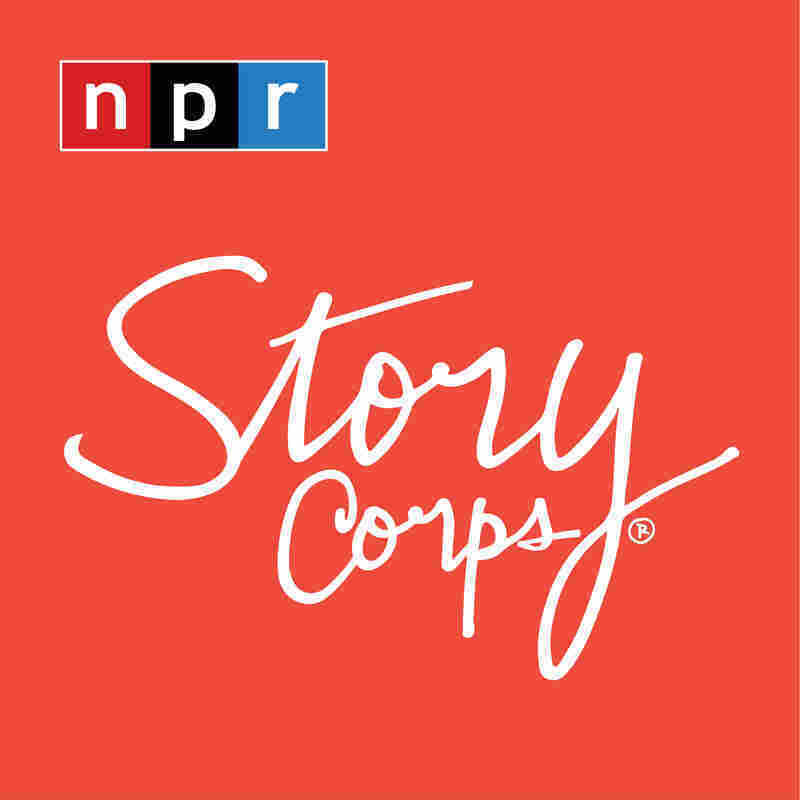 StoryCorps is a national nonprofit that gives people the chance to interview friends and loved ones about their lives. These conversations are archived at the American Folklife Center at the Library of Congress, allowing participants to leave a legacy for future generations. Learn more, including how to interview someone in your life, at StoryCorps.org.